Weddings are our specialty at MVP Mobile DJ Service. We believe in helping you create the wedding of your dreams. We can provide the music and sound system for your ceremony as well as your reception. Whether it’s elegantly formal or a wild party that you desire we will do our best to tailor the entertainment to your wishes. Our DJs will keep the event flowing smooth from beginning to end by helping with introductions and announcements. We will also help coordinate the event with your other venders. 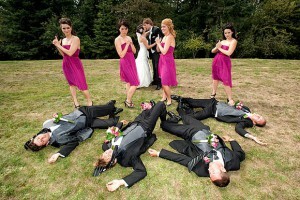 We have plenty of experience with weddings and are guaranteed to look and act professional. We will play the music you and your guests want to hear, and if there is something you do not want played simply tell us and we will gladly accommodate. You can choose all or some of your music or let your DJ choose the music that will get your guests on the dance floor, either way we will work hard to ensure your event is a success.